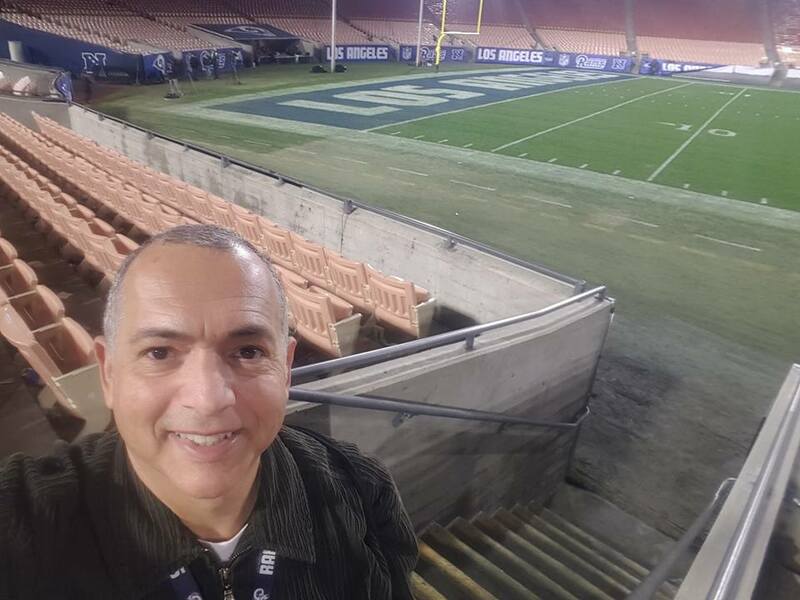 As a freelance sports journalist, on any given sports day I can be found at the Rams Training Facility or the Coliseum, Dodger Stadium, or Staples Center, covering practice sessions, press conferences. providing highlights of the game, or gathering interviews. For CBS Sports, AP Sports, SiriusXM and Fox Sports Radio I provide audio for radio, I do live hourly updates of Los Angeles Rams games at the Coliseum, I was the web/video custom web-reporter for The Beast 980 (KFWB) all sports radio station in Los Angeles from December 2014 to February 2016 and I’m looking for more opportunities on the sports-digital side. I’m available upon request with rates negotiable and to the standards of SAG-AFTRA of which I am a member.